lots of places to buy some of the best sweets in the country! Which candies do Texas trick-or-treaters want this year? There’s a new sheriff in town when it comes to Texans’ favorite trick-or-treat candy, according to Candystore.com. The bulk candy retailer studied sales trends in the months leading up to Halloween between the years 2007 and 2017. The rankings were determined by pounds of candy sold. Reese’s Peanut Butter Cups electrified Texas candy-literatti by claming the top spot and knocking previous favorite Starburst to second place. During the studied time period, Texans purchased 1,101,040 pounds of Reese’s Peanut Butter Cups. Coming in a close second, Starburst sold 1,082,409 pounds. Coming in a distant third is Almond Joy at 470,571 pounds. One pound of Reese’s Peanut Butter cups has about 2,321 calories. That’s equal to the energy potential of 2.699323 watts/hour. Assuming 1 MegaWatt hour (MWh) is enough to power 200 Texas homes, that 1 million pounds of Reese’s Peanut Butter cups bought by Texans during the study has the potential energy of nearly 3 MWh. That’s enough to supply 600 homes with the chocolatey, peanut-buttery goodness of cheap Texas electricity. Silliness aside, the main limitation of this study is that it only considers sales made by Candystore.com. If anecdotal evidence from past years holds up, kids (and parents) will see plenty of Snickers, Twix, and Milky Way in their Halloween night haul. Nonetheless, Reese’s Peanut Butter Cups in the top spot feels correct. Candystore.com’s top sellers across the US are Skittles at number one. M&Ms come in second, and Snickers lands in third place. Texas’s favorite Reese’s Peanut Butter Cups take fourth place nationally. Sure, the big name candies are available in just about every retail outlet. But what if you want to keep it local this Halloween? Well, Texas has its fair share of confectioners ready to satisfy your sweet tooth. They don’t tend to rank on top Halloween candy lists, but they’re certainly worth a taste. 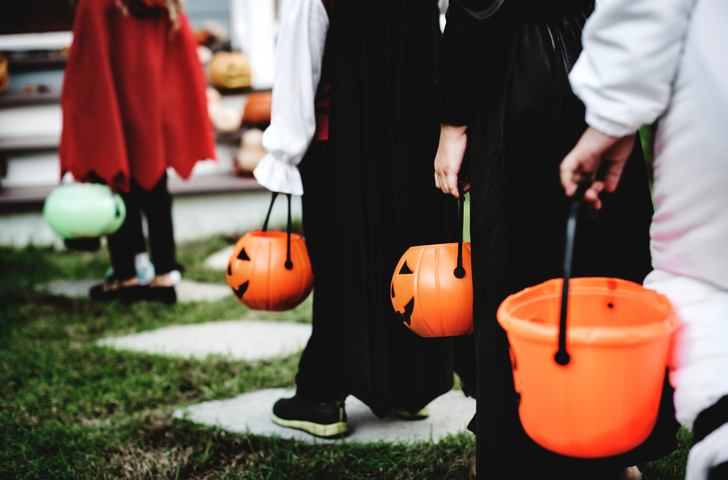 You may like them so much you’ll want to conserve Texas electricity by turning off your porch light to discourage trick-or-treaters from tricking you out of the following sweet treats. Founded in Austin less than two decades after the Civil War, Lammes Candies offers an assortment of luxury candies. Their best seller, the Texas Chewie Pecan Praline, was created in 1892 after seven years of tinkering with the recipe. Now, they make more than 2,000 pounds of it per day. Remember this company when Valentine’s Day rolls around for their chocolate dipped strawberries. Atkinson Candy Company in Lufkin makes a variety of candies, but their most famous is Chick-O-Stick. This sweet treat made from peanut butter, sugar, and coconut is their signature creation. It also comes in sugar-free varieties. Nationally known candy company Russell Stover Chocolates has five factories in the US including one in Corsicana. Their individually wrapped chocolates are good for adult trick-or-treaters, but you’ll probably want to keep a box of them for yourself. Like Lammes, you’ll want to keep them in mind for Valentine’s Day. If you’re the Clark Griswold of Halloween decorating, powering your lawn decorations can take a significant amount of electricity. With retail electricity prices declining after the summer spike, now may be the perfect time to switch electricity plans. Peruse the dozens of rates on Texas Electricity Ratings to see which plan best suits your needs. Happy Halloween!